Most alarmingly, only 2.8% of respondents were able to recall the 10-digit MPEW emergency helpline number “98224 98224”. Over 50% recalled ‘108’ as the emergency number, which connects to the State-run 108 Ambulance service. A first-of-its-kind survey conducted by SaveLIFE Foundation, a road safety non-profit, on the Mumbai Pune Expressway (MPEW) has revealed that 53.3 per cent of commuters suggested increased enforcement at night to improve road safety on the Mumbai Pune Expressway. When asked about strategies to improve enforcement, 40% suggested increased patrolling through day and night as an effective strategy. 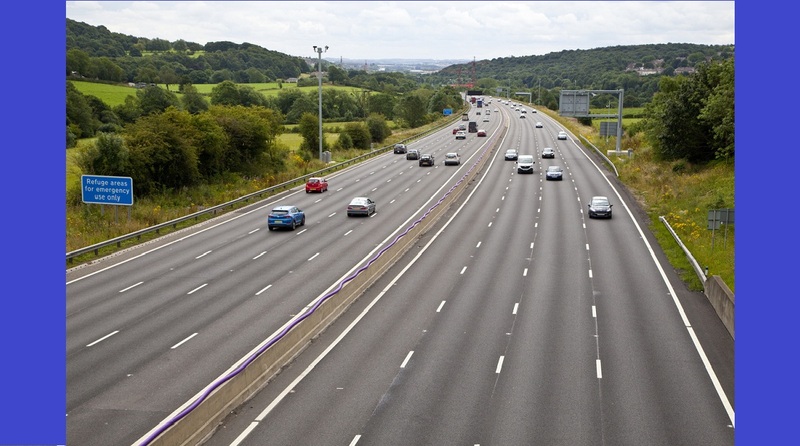 Highways, including expressways, constitute roughly two per cent of the total road network in India but account for 40 per cent of the total traffic carried. Almost 30 per cent of the crashes and close to 35 per cent of the total number of deaths occur on Highways. Official data suggests that on an average one death occurs every two km on Indian Highways each year, whereas the annual average on MPEW is over two deaths every two km. The survey found speeding to be a significant risk factor with 65 per cent of car/jeep drivers admitting to breaching the posted speed limit. MPEW, despite not having a specific speed limit notification, has a maximum posted speed limit of 80 kmph. The survey also found that 42.3 per cent of all commuters including drivers, and front and rear seat occupants do not wear seatbelts while travelling on the expressway. Specifically, 67% of rear seat passengers admitted to not wearing a seatbelt while riding on the expressway. 46% of young commuters, in the age group of 18-25, and across the categories of drivers and passengers, admitted to not using seat belts. The survey, commissioned by SaveLIFE Foundation, and supported by Mahindra & Mahindra, to gain insights into perceptions and behaviours of MPEW users, studied around 800 commuters of all vehicle categories on the MPEW through face to face interviews along with in-depth interviews of officials of emergency vehicles (police officials and ambulances) to get insights on the key road user behaviour and perceptions related to driving on the Mumbai Pune Expressway. The insights will be used to suggest counter-measures to improve road safety on the expressway. Among key reasons cited by the respondents for road crashes and deaths on MPEW, fatigue was most commonly mentioned by heavy vehicle drivers with about 71 per cent multi-axle vehicle drivers and nearly 50 per cent bus and truck drivers reporting they feel sleepy or tired during their journey on the expressway. The survey also found out that driving under the influence of alcohol (46 per cent) and over-speeding (38 per cent) were key perceived factors for crashes. Among infrastructural risk factors, sharp turn/curves were considered as the major risk factor by most of the respondents. Tyre-bursts and brake-fade were considered top vehicular risk factors according to the respondents. Notably, 69% of all commuters surveyed stated that they will be unable to locate themselves on the Expressway in case of an emergency. Among those respondents who travel on MPEW daily, only 55 per cent of respondents confirmed they could locate themselves on the MPEW. Most alarmingly, only 2.8% of respondents were able to recall the 10-digit MPEW emergency helpline number “98224 98224”. Over 50% recalled ‘108’ as the emergency number, which connects to the State run 108 Ambulance service.